It’s a great moment for a small business owner: Your business has grown, sales are soaring and your client or customer demands are increasing. But, with all that progress comes another need - office space. Many small business owners need to move from their home office (or even their kitchen table!) to a coworking space as the business grows. But with limited time and resources as a small business, many founders don’t have the time to evaluate which option is best. In most cities across the United States, there are dozens and dozens of options to consider - and comparing them took the most precious asset of all: time. That’s where Truss comes in - we offer coworking spaces at some of the most popular and affordable locations in Chicago, Washington, D.C., Houston, Dallas and Austin, and are continuously growing. We sat down with our co-founder, Bobby Goodman, to discuss how a small business owner can find the right coworking space. Q: What's the best way that Truss works with coworking spaces? Bobby: We make finding a coworking space easy and convenient. In the past, a small or medium sized business owner would need to go to each individual coworking website (or talk with a broker). Now, we offer a way for the business owners to view what’s available and at what cost, understand the differences, review the amenities - all in one place. That gives the business owners the opportunity to see what’s the best fit, without ever having to leave their desk. Plus, the coworking companies appreciate that we’re essentially a free marketing channel to the end user - the small business owner. Often times it is the business owner who is searching for office space, but sometimes it can be an assistant, HR or account coordinator. Q: How is Truss different from people looking to rent in coworking spaces? Bobby: We save you time. Q: Care to expand on that, Bobby? Bobby: Sure. Truss aggregates all the coworking options in one place on our platform. 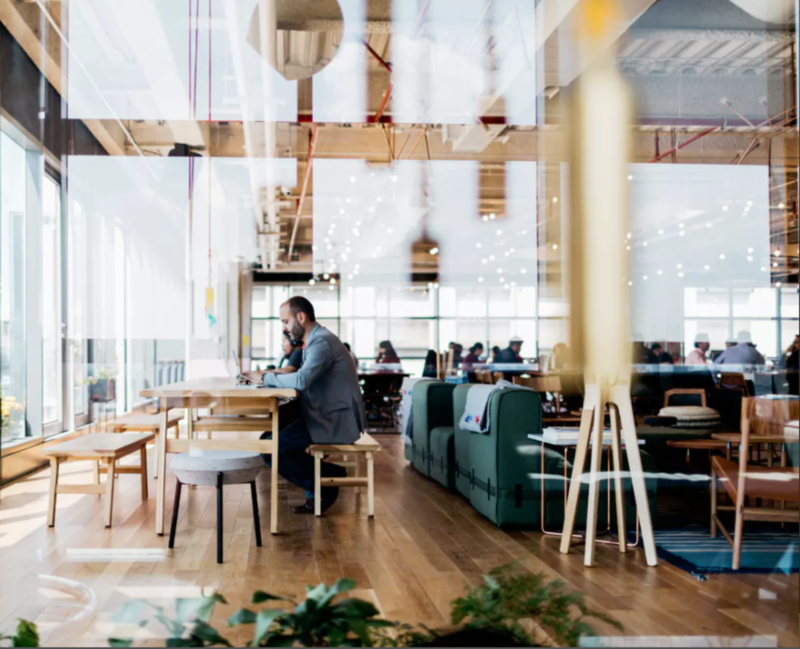 There wasn’t a single place to find and explore coworking spaces in the past and before you know it, you wasted a lot of time going from website to website comparing square footage, amenities, costs and more. We aggregate the highest and lowest cost options - with quality images, details and more - before you even have to get off your couch. And, if you find coworking isn’t the right fit for your company, you can compare other standalone office spaces at the same time. That’s a real benefit, especially for the business owner who anticipates a growing team in the next year or two. Q: What types of leases does a business owner have to sign for coworking spaces? Bobby: There’s a variety and they have fully flexible lease terms that a business owner is looking for – either by the month or by the year. We present the options, you’ll find that the longer you lease, the better deal you get. For example, with WeWork, if they are offering three months free rent, we will have their promotion available. We will make sure you know all about the special promotions happening at any coworking space that we work with. Check out our FAQs to learn more. Q: What do you see are the main trends in coworking spaces? Or, who are some the ideal types of companies - size, style, etc? Bobby: Business owners definitely love the flexibility of the space - in terms of ability to growth, length of the lease and more. Increasingly, the size of the companies continues to grow. Previously, it was small companies of 2-4 people that leased coworking spaces. Now, they’re much larger, such as a 75 person company we just placed last month.